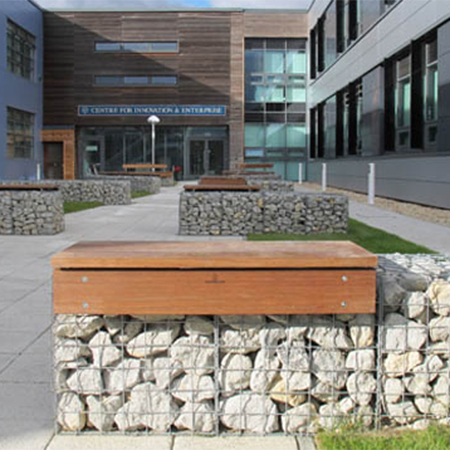 Furnitubes has provided their Lapa gabion seat and bench platforms for the Begbroke Innovation Centre- the new multi-use building at Begbroke Science Park. The new building will help small and medium-sized science businesses take their projects to market, and provide facilities for researchers from the University. 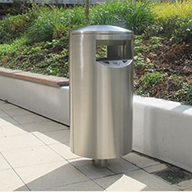 The open space outside the new building comprises of a number of straight and curved gabion walls, which on their own do not provide any suitable seating for users. 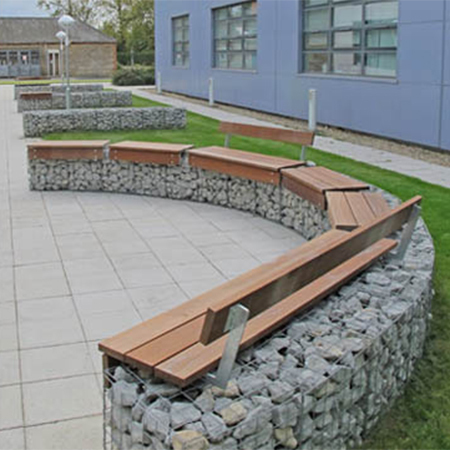 Furnitubes supplied a number of Lapa gabion seat and bench platforms for the new building, which were installed on the gabion walls outside the facility offering new comfortable seating provision for everyone.